Hardwood Floor Specialists has been Orange County's best value for hardwood, laminate, cork, and bamboo flooring since 1967. We have the most comprehensive selection of hardwood in the local area, with over 4,000 samples to choose from, and between 85% and 90% of our wood is in stock at any given time. We offer a large selection of flooring from the top brands, including Shaw, Mannington, Reward, and many more. You can choose from a variety of styles, including wide and long plank flooring, multiple width flooring, diagonal flooring, parquet flooring, reclaimed wood or hardwood flooring, and more. The aforementioned styles come in smooth finishes and distressed finishes, including hand scraped or time worn. Our hardwood is available in solid or engineered plank and can be custom designed with special borders. Our engineered woods and laminates come prefinished, and our solid plank hardwood is available prefinished or unfinished. Our experienced staff of designers will walk you through the entire flooring process, whether you know exactly which type of wood you want, or you haven't the slightest idea. We'll help you pick a wood type and flooring style that perfectly compliments your home or business, and our design services are completely free of charge. 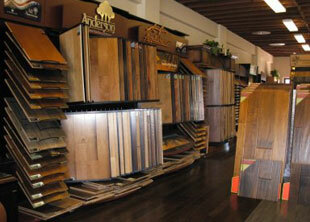 With Hardwood Floor Specialists, you know you're getting best deal in Orange County. We provide free, detailed, and accurate cost estimates that include materials, supplies, labor, preparatory work, molding, and staircase fees. We even offer special in-trade and sub-distributor pricing. Call us today for your free consultation.